Hero of the Revolutionary War. Military Leader of Poland. A Close Friend of Freemasons. How was Thaddeus Kosciuszko never made a Mason? When you travel north to Saratoga Springs, Lake George, Fort Ticonderoga, or the Adirondack Mountains in Update New York, you will cross over the "Twin Bridges," as the locals call them. "The Twins" are much easier to say during drive time traffic reports than the Thaddeus Kosciusko Bridge. What makes the bridge unique, aside from the Polish name, is its design: two identical steel arched bridges, with decks that span across the Mohawk River. Technically, crossing the Twin Bridges to and from work would have been my introduction to Kosciuszko. The first time I heard the name Thaddeus Kosciuszko was when I was talking about Revolutionary War history with a co-worker. She was raving about the documentary "Kosciuszko: A Man Before His Time." As she shared it, his story was one worth learning about; born into a Polish noble family, Kosciuszko would eventually leave Poland to join the American patriots in the Revolutionary War, return to Poland and lead his own people in their fight for Independence. I was compelled to learn more about this man who George Washington trusted to build and fortify West Point. In his book, "The Peasant Prince: Thaddeus Kosciuszko and the Age of Revolution," Alex Storozynski brilliantly details the life and time of Kosciuszko. You learn of a young man who, after being schooled in architecture, drawing (fine art), and military strategy, leaves Poland to join the fight on the side of the Americans during the Revolutionary War. Let me take a second to note some of Kosciuszko's military accomplishments. He protected the banks of the Delaware River, preventing the British from invading Philadelphia. When his idea of building an attack position above Fort Ticonderoga was ignored, Kosciuszko saved the Continental army engineered a solution to slow the British Army, allowing the Americans to escape across the Hudson River. During the second Battle of Saratoga, he planned a robust array of natural defenses, using ledges, rock formations, and the terrain as cover - frustrating the British while positioning his men to victory. Kosciuszko's travels put him in direct contact with known Freemasons: Benjamin Franklin, Nathanael Greene, Marquis de Lafayette, and George Washington. Kosciuszko lived and served with these essential men in a time when the ideas of democracy, freedom, and independence were the favorite topics of discussion. George Washington hung Kosciuszko's portrait in his home, and his friend Thomas Jefferson wrote that "He is as pure a son of liberty as I have ever known." Thaddeus Kosciuszko possessed the two masonic principles that we are charged to embrace: Fidelity and Integrity. 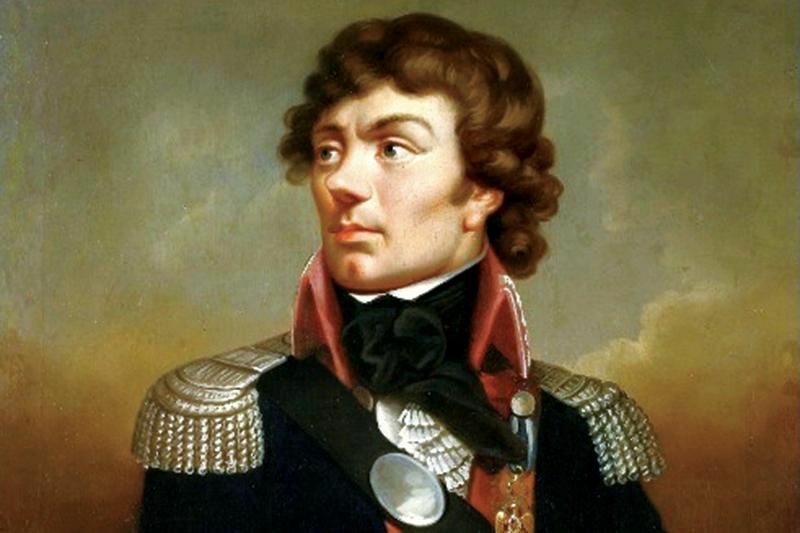 There are several examples in the book of opportunities during the beginning of his Revolutionary military service where General Kosciuszko could have risen in rank faster or received more pay IF he stepped on others to advance himself. Instead, he took promotions as he earned them and served for seven years without collecting a salary. His concerns were always for the care and comforts of his soldiers, who he regularly wrote to Congress and General Washington for new boots, clothing, or weapons. When I finished the book, I reached out to the author Alex Storozynski to investigate if Kosciuszko was a Mason. I couldn’t see how a man of his age who was in the company of Washington, Franklin, and many other historical Masons of that era would not have attended a Lodge or somehow escaped being a member of one. I also contacted Kosciuszko Lodge No. 1085, the first Lodge composed of men of Polish and Slavic descent in the United States of America, which meets in the Grand Lodge of New York, to see if they had any supporting documents. I wasn't the first to ask the question. "I wish he were a Mason," stated Storozynski when we spoke. "If I had found anything, I would have surely included it in my book!" Alex and I spent the time discussing how, after the connections with Franklin, Lafayette, and Washington - considering how life was much different than now, their time huddled closely during winter or the lavish parties they would attend in each other's honor, how was it possible that the subject of Freemasonry never came up? Both Kosciuszko and Washington were members of the Society of Cincinnati. We also couldn't fathom how, after being released from prison for leading an uprising against Catherine the Great, Kosciuszko didn't petition a Masonic lodge in Europe when he was close friends with Thomas Jefferson. Jefferson was known to have attended meetings at the prestigious Lodge of Nine Muses in Paris, France. (For a more detailed look into whether Jefferson was a Mason, click here) If Kosciuszko wasn't an American Freemason, was it possible that he could have petitioned a Lodge in Europe? Again, the answer is no. Although if you search online, the Grand Orient of Poland lists Tadeusz Kościuszko on their list of our "Predecessors in the Craft." But as far as official documentation that states he was made a Mason at a certain time and place, for now, that search for Kosciuszko comes up empty.